Delicious, sugar free and just 30 calories per serving! 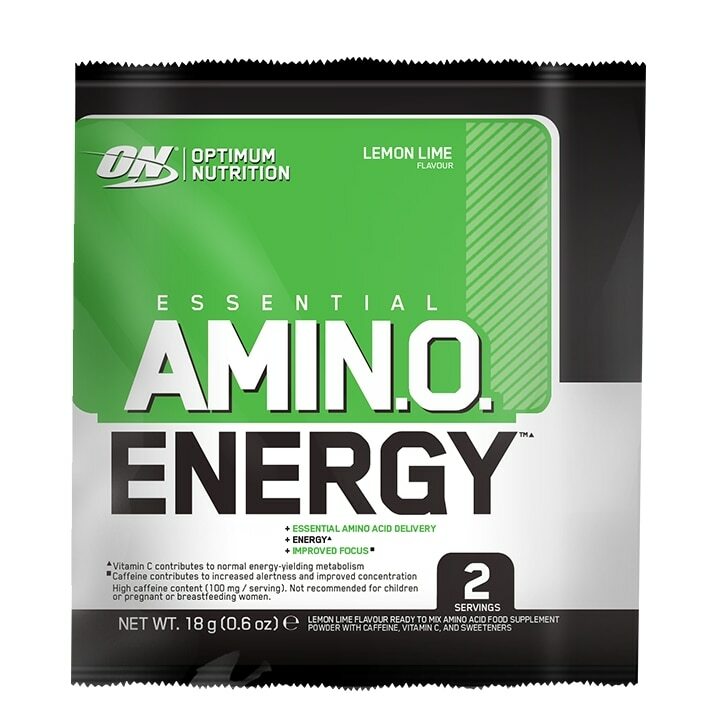 Optimum Nutrition’s Essential Amino Energy delivers caffeine to help increase alertness and focus throughout your day, as well as essential amino acids. Mix up Essential Amino Energy any time you’re looking to improve mental focus and alertness. It’s ideal in the morning, for pre-workout priming, or as an afternoon booster. Add 2 level scoops (9g) to 330ml (11oz) of cold water and mix until powder is completely dissolved. Recommended consumption of 1 serving per day either before, during or after your workout. Amino Acid Blend (L-Glutamine, L-Leucine, Taurine, L-Arginine, L-Isoleucine, L-Valine, Beta-Alanine as Carnosyn®, L-Tyrosine, L-Histidine, L-Lysine Hydrochloride, Emulsifier; Soy Lecithin), Acidity Regulators, (Citric Acid, Malic Acid, Tartaric Acid), Flavouring, Inulin, Colour (Curcumin), Thickeners (Cellulose Gum, Xanthan Gum, Carrageenan), Sweeteners (Sucralose, Acesulfame K), Anti-Caking Agents (Silicon Dioxide, Calcium Silicate), Natural Caffeine, Green Tea Extract (Camellia sinensis leaf), Spirulina Powder, L-Ascorbic Acid, Green Coffee Extract (Coffee Arabica L, fruit).